Year: 1953 Item #: 1086 Views: 4,129 Comments: No Comments. 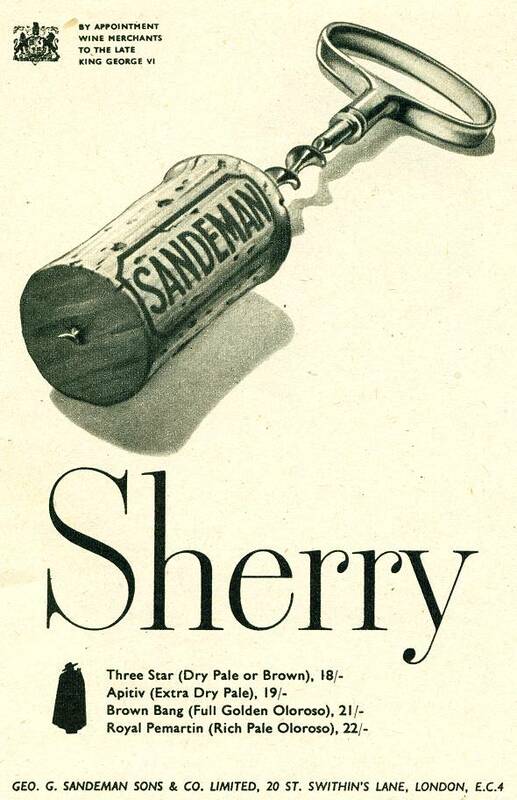 Sandeman Sherry. Three Star (Dry Pale or Brown), 18/-. Apitiv (Extra Dry Pale), 19/-. Brown Bang (Full Golden Oloroso), 21/-. Royal Pemartin (Rich Pale Oloroso), 22/-.